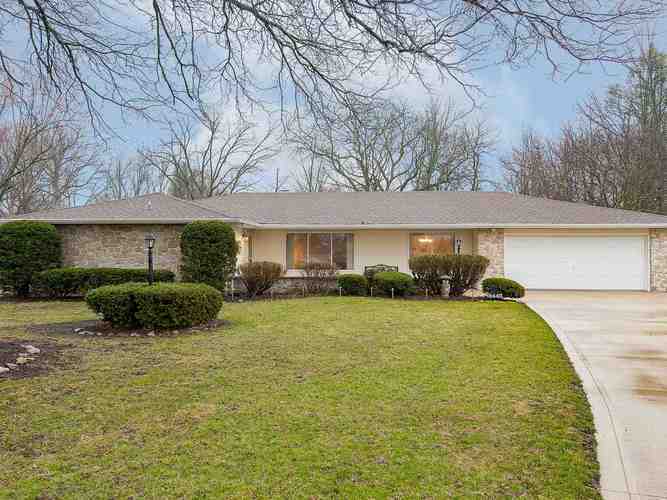 Lovely street appeal on a quiet cul de sac entices guests into this sprawling ranch additional living area which is perfect as an in-law suite, returning child, AirBNB. The floor plan is truly designed for two separate living areas. One area includes 3 bedrooms, 2 full baths, living room, family room, kitchen, 3-season room. Second living space offers bedroom, full bath, living room. The mud room is located off of the garage and flex room could easily become the laundry room and extensive storage. Bonus features include a huge backyard, hot tub, fire pit, large low maintenance deck, gutter guards, and a fence. Exterior home and deck power washed March 2019. Within the last few years improvements include a new tear-off roof 2010, hot tub 2015, interior lighting 2019, insulated garage door and front door 2009, vinyl siding 2009, clothes dryer 2015, custom blinds 2013, new driveway and front walk 2008. This home was inspected in November 2018 and sold in December. New occupant deceased prior to move in, so there are no utility averages. Extra room is 3-season room; laundry is currently located in in-law full bath; 13x7 room is flex room; 9x8 room is mud room. Hot tub included in sale. Property requires flood insurance as FEMA has designated it 1% annual possibility of flooding. Directions:Goeglein Rd to Bello Dr. Turn left on Cerco Ct.